Kite Tenjo, known as Kaito Tenjo (天(てん)城(じょう) カイト, Tenjō Kaito) in the manga and Japanese version, is the son of Dr. Faker, a Number Hunter, and one of the main characters who was gathering “Numbers” for his father in order to help his formerly sick brother, Hart Tenjo. 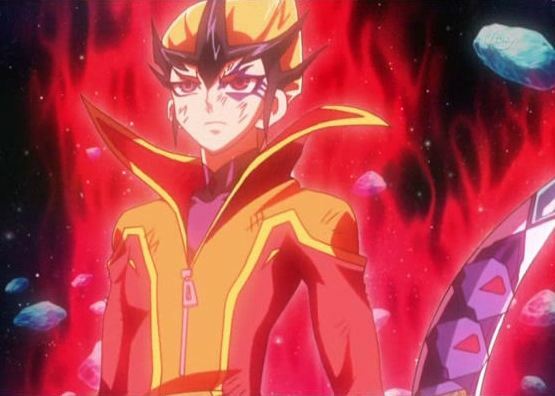 Assisted by a robot named Orbital 7, Kite was the most direct adversary of the first three arcs, but his “Numbers” are now in the possession of Yuma Tsukumo and Astral. When Hart was cured, he became friends with Yuma and Astral and cooperated with them in the Interdimensional War between the Astral World and Barian World, becoming directly involved with the Legend of the Dragons of Light and Time. After defeating Mizar on the Moon, Kite deems Mizar the true Dragon Tamer and entrusts him to complete his quest after succumbing to the vacuum of space. He was later revived by the power of the Numeron Code after Yuma’s and Astral’s final Duel. 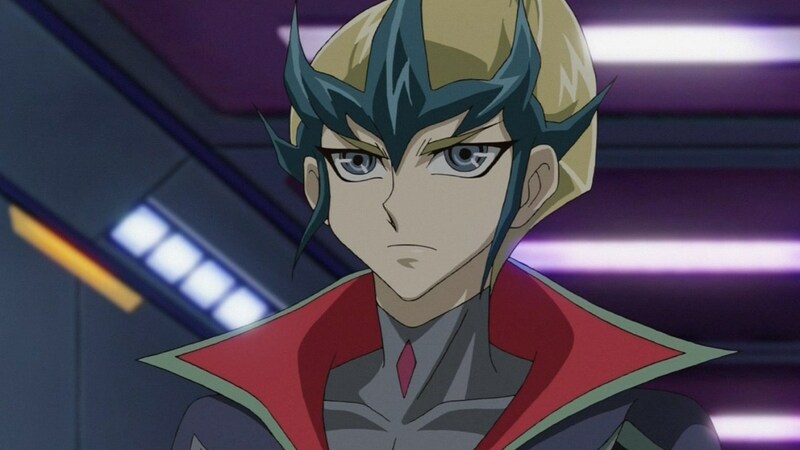 Kite has light blue-grey eyes, pale skin and blonde hair that is curled up in a point with a dark green spiked front, also featuring dark green bangs. His attire includes a black trench coat with a high collar over a grey shirt, a finger-less black glove on his right hand, and white pants with black boots. 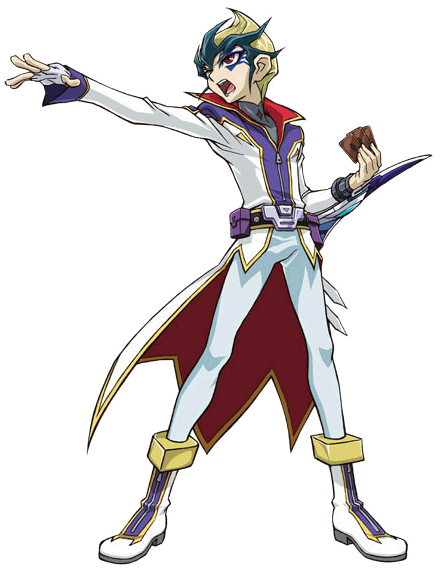 He also has a belt with two purple deck boxes for his cards. In the past, Kite’s attire included a pink shirt, brown pants and braces fitted around his belt. Kite initially carried a pious and self-righteous demeanor as he aims to crush any opponent with a religious fervor in his duels. 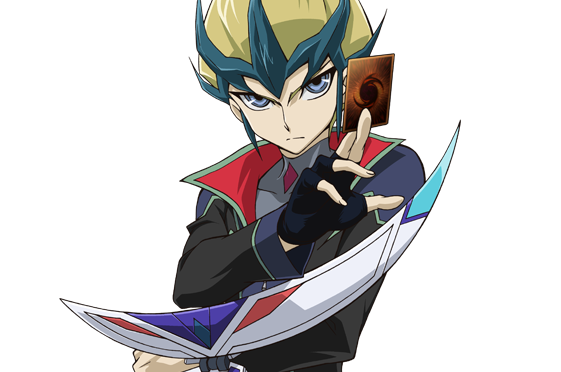 He also shares a brotherly bond with Hart similar to that of Seto Kaiba when it comes to protecting his younger brother, who is his “everything”. 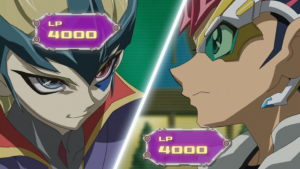 Because of Hart’s condition supposedly being caused by the “Number” cards, Kite Duels and acts ruthlessly when it comes to facing those whose possess such cards. In the Japanese version, Kite whistles a heavenly song, which can relate to how Kite sees himself as “the light that illuminates the darkness stagnating in the hearts of humanity”, descending upon the wicked and delivering judgment. The actual tune of Kite’s whistle is called “Haruto Tenjo’s Theme”, which is also featured in the Yu-Gi-Oh! ZEXAL Sound Duel 1. In the dubbed version, the song he whistles is more of a Western theme, like a cowboy does when he is about to Duel, which may be a reference to Kalin Kessler. Kite exhibits some level of religious affiliation in the Japanese version. His family name, “Tenjou”, uses the Kanji for “Heaven and Earth”. “Kaito” is the Japanese pronunciation of the English word “Kite”; and given it is written in Katakana instead of Kanji, it can thus be correctly translated as either “Kaito” or “Kite”. 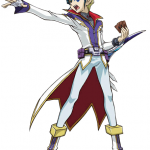 After he wins a Duel with a “Number” user, Kite uses his “Photon Hand” which enables him to extract the “Number” card from their users, though the process also steals their soul. Kite possesses a “Duel Anchor”, which he uses to prevent a “Number” user from running away, until the Duel is over. Both of these abilities are technological in origin and were provided by Dr. Faker. His Deck comes from the same source. He is also able to read the alternate language the “Numbers” are written in, which only Astral and those possessed by “Numbers” can read. He believes that collecting all the Number Cards will save his dear brother Hart, so he would do anything to help him… anything! 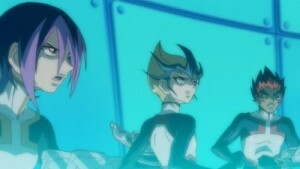 Prior to his first Duel with Yuma, Kite had acquired eleven “Numbers”, among them “Number 10: Illumiknight”, “Number 20: Giga-Brilliant” and “Number 56: Gold Rat”. Prior to the World Duel Carnival, he also acquired “Number 30: Acid Golem of Destruction”. He also won a “Number” from Fortuno. During the tournament, he acquired at least two more “Numbers” from his opponents, before winning “Number 9: Dyson Sphere” from Quinton during his first match in the finals. In his next match, he lost his “Numbers” to Vetrix. Sometime later, he acquired “Number 46: Dragluon” from Jinlon. After defeating Scritch alongside Quinton, he obtained “Number 2: Ninja Shadow Mosquito”, but his card turned out to be a fake and was destroyed. 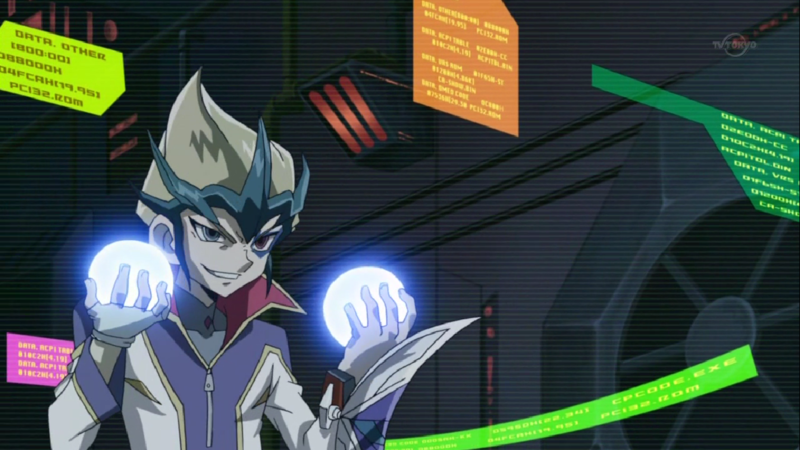 During a Duel on the moon, he acquired “Number 62: Galaxy-Eyes Prime Photon Dragon”. This card and “Dragluon” resonated with Mizar’s “Number 107: Galaxy-Eyes Tachyon Dragon” and netted him “Number 100: Numeron Dragon”. Though he won the Duel, he succumbed to the vacuum of space and passed those “Numbers” to Mizar. Kite plays a “Photon” Deck, focused on swarming the field with LIGHT-Attribute monsters, which he can then use to Summon his “Number” monsters and/or his ace card, “Galaxy-Eyes Photon Dragon”. He also uses the “Galaxy” archetype to summon his the upgraded upgraded forms of “Photon Dragon”: “Neo Galaxy-Eyes Photon Dragon” and “Number 62: Galaxy-Eyes Primte Photon Dragon” easier. According to Mr. Heartland, Kite’s Deck was created by him and Dr. Faker by using science from another dimension.